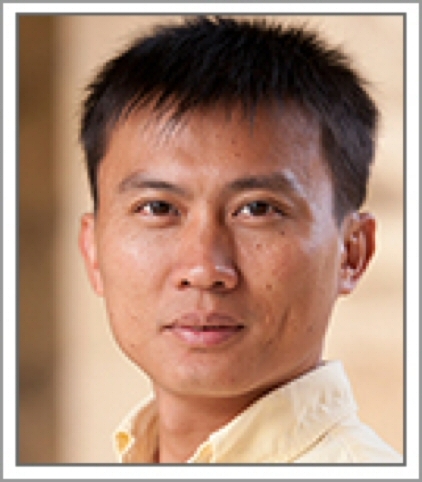 Professor Yi Cui is a tenured Associate Professor in the Department of Materials Science and Engineering at Stanford University. He received his PhD in Chemistry at Harvard University (2002), B.S. in Chemistry at the University of Science and Technology of China (1998). He was a Miller Postdoctoral Fellow at University of California, Berkeley before joining Stanford University as an Assistant Professor in 2005. His current research is on nanomaterials design for energy and environment and two-dimensional materials. 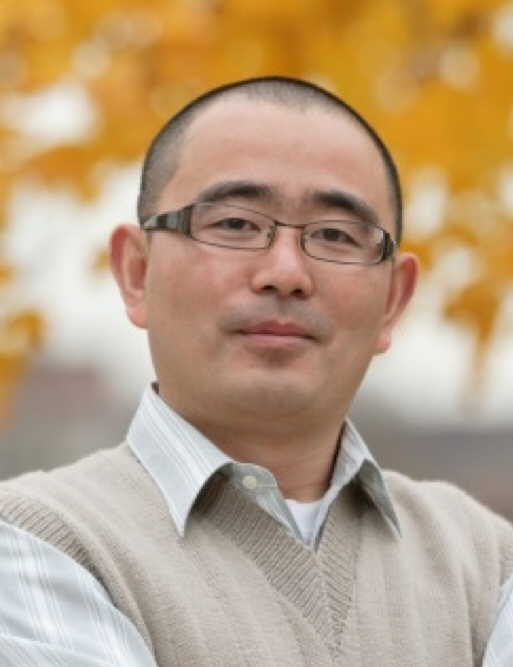 Yi Cui is an Associate Editor of Nano Letters. He is a co-director of the Bay Area Photovoltaic Consortium of the US Department of Energy. He has published more than 300 peer-reviewed papers. He founded Amprius Inc. in 2008, a company to commercialize the breakthrough high-energy battery technology invented in his lab. He co-Founded 4C Air Inc. to develop novel filtration solution to remove PM2.5 particle pollutants from air. He has received numerous awards including MRS Kavli Distinguished Lectureship in Nanoscience (2015), Resonate Award for Sustainability (2015), Inaugural Nano Energy Award (2014), Blavatnik National Award Finalist (2014), Wilson Prize (2011), the Sloan Research Fellowship (2010), KAUST Investigator Award (2008), ONR Young Investigator Award (2008), MDV Innovators Award (2007), Technology Review World Top Young Innovator Award (2004), MRS Gold Medal of Graduate Student Award (2001). Professor Stan Whittingham is a SUNY distinguished professor of chemistry and materials science and engineering at SUNY Binghamton. He received his BA and D Phil degrees in chemistry from Oxford University. He has been active in Li-batteries since 1971 when he won the Young Author Award of the Electrochemical Society for his work on the solid electrolyte beta-alumina. In 1972, he discovered the role of intercalation in battery reactions, which resulted in the first commercial lithium rechargeable batteries that were built by Exxon. In 1988 he returned to academia at SUNY Binghamton to initiate a program in materials chemistry. He was awarded a JSPS Fellowship in the Physics Department of the University of Tokyo in 1993. In 2004 he received the Battery Division research Award. He is presently Director of the NECCES EFRC based at Binghamton. In 2012 he received the Yeager Award of the International Battery Association for his lifetime contributions to battery research; in 2015 he received the Lifetime Contributions to Battery Technology award from NAATBaaT. He is a Fellow of both the Electrochemical Society and the Materials Research Society. He is Vice-Chair, Board of Directors of the New York Battery and Energy Storage Technology Consortium (NYBEST). Prof. Xiao-Qing Yang is the group leader of the electrochemical energy storage group in the Chemistry Department of Brookhaven National Laboratory (BNL). He is the Principal Investigator (PI) for several Battery Material Research (BMR) programs including the Batter500 consortium at BNL funded by the Office of Vehicle Technologies, EE&RE, U.S. Department of Energy (USDOE). He has been invited to give presentations at international conferences, as well as at DOE organized workshops in battery research. He has served as organizer and Co-Chairman of many international conferences on lithium battery research, such as the IBA2007 (International Battery Material Associate meeting 2007 in Shenzhen, China), and the IMLB2008 (International Meeting of Lithium Battery 2008 in Tianjin, China). He received the “2012 Vehicle Technologies Program R&D Award” from the Vehicle Technologies Office of EE&RE, USDOE in May, 2012. In January 2015, he received the 2015IBA Research award from the International Battery Association (IBA). 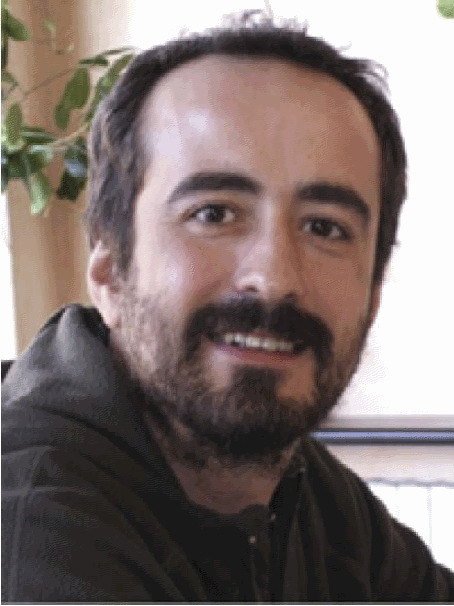 Dr. Filippo Maglia received his PhD in chemistry from the University of Pavia in 1998. He was assistant professor at the Chemistry Department of the University of Pavia, Italy between 2005 and 2012. Dr. Maglia has spent several periods between 1998 and 2005 as visiting scientist at the department of chemical engineering and materials science of the University of California Davis. In 2009, he spent a semester as DAAD fellow at the Technische Universität München, Germany. In 2013 he joined BMW AG where is currently the Senior Materials Expert within the “Research Battery Technology” department. His research work is mainly focused on lifetime battery materials. Dr. Ali Abouimrane is a Principal Scientist at Qatar Environment and Energy Research Institute QEERI- Hamad Bin Khalifa University and the Energy Storage Portfolio Lead. Before joining (QEERI), Dr. Ali Abouimrane was a Senior Materials Scientist at Argonne National Laboratory. He received his Ph.D. in Physical chemistry in 2000 from University Hassan II in Casablanca (Morocco). From 2001-2004, he worked at University of Montreal as a Postdoctoral Fellow. From 2005-2008, he joined the National Research Council of Canada in Ottawa where he worked on the development of advanced lithium-ion battery materials for various stationary and mobile applications. In 2008, he moved to Argonne national Laboratory. He has over 16 years’ experience in lithium batteries, advanced materials and electrochemical energy devices for the development of renewable energy technologies such as: PHEV, EV (batteries for more efficient cars) and grid (energy storage for solar and wind applications able to beat their intermittence problem; energy storage for backup power in industrial plants). He was a primary investigator for Applied Battery Research for Transportation (ABRT) and Laboratory Directed Research and Development (LDRD) projects funded by the Department of Energy. His research area includes also Materials and Nanotechnology. Dr. Abouimrane served as a reviewer for U.S Department of Energy, French National Research Agency and various journals in the fields of Materials Science, Chemistry, and Electrochemistry. Dr. Abouimrane published more than 65 scientific papers in the areas of Materials, Energy Storage and Nanotechnology. 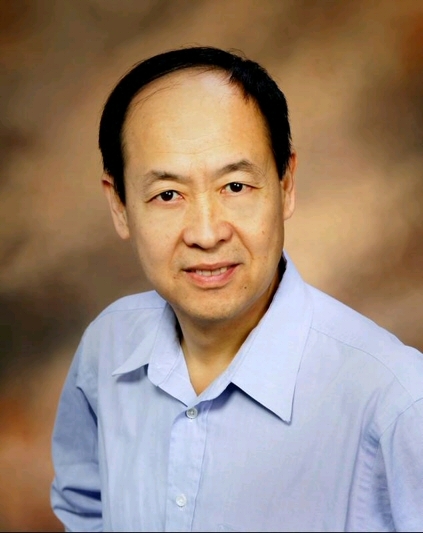 Dr. Jun Lu is a chemist at Argonne National Laboratory. His research interests focus on the electrochemical energy storage and conversion technology, with main focus on beyond Li-ion battery technology. 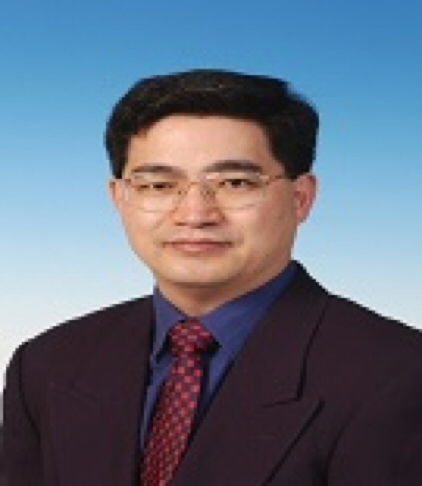 Dr. Lu earned his bachelor degree in Chemistry Physics from University of Science and Technology of China (USTC) in 2000. He completed his Ph.D. from the Department of Metallurgical Engineering at University of Utah in 2009 with a major research on metal hydrides for reversible hydrogen storage application. He is the awardee of the first DOE-EERE postdoctoral fellow under Vehicles Technology Program from 2011-2013. He is also the first awardee of IAOEES Award for Research Excellence in Electrochemistry Energy in 2016. 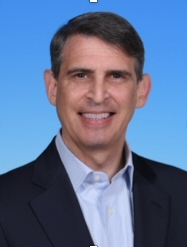 He is the associate editor of ACS Applied Materials and Interfaces. Dr. Lu has authored/co-authored more than 170 peer-reviewed research articles, including Nature; Nature Energy, Nature Nanotechnology; Chem. Rev. ; Nature Commun. ; JACS; etc, and has filed over 20 patents and patent applications. Professor Jean Le Bideau obtained his Ph.D. in Materials Sciences from the University of Nantes in 1994. After a two-year stay, as associate researcher at Michigan State University (USA), he moved to the Université de Montpellier (France) as associate professor, and then in 2008 to the Université de Nantes as full professor. His research aims at building low dimensional hybrid organic-inorganic materials, enhancing interfacial and confinement effects on ionic charge transport properties. Since 2003, his research has focused on confining ionic liquids within inorganic or organic-inorganic host networks. More specifically, focus is made on interfacial features of the resulting ionogels. Professor Abdelilah Benyoussef received his “Doctorat d’état” degree from the Paris-Sud University in 1983. He is a permanent member of the Moroccan Hassan II Academy of Science and Technology, since 2006. He is associate professor in the materials and nanomaterials center of the Moroccan Foundation for Advanced Science, Innovation and Research. He is National coordinator of the Competences Pole of Condensed Matter and Systems Modeling. He is also an editor in chief of the Moroccan Journal of Condensed Matter. He is President of the Moroccan Society of Statistical Physics and Condensed Matter. He has been visiting professor in many research centers, laboratories and Universities in Belgium, Canada, Egypt, France, Germany, Japan, Spain, Tunisia, and United states. 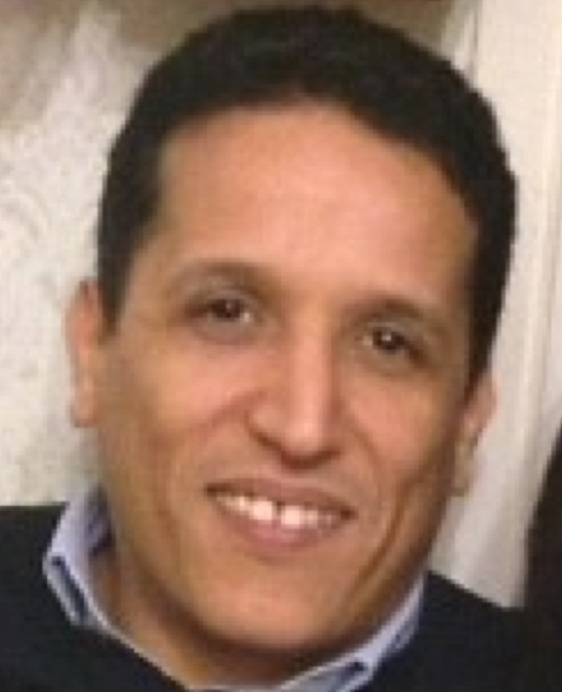 The main interest topics of Abdelilah Benyoussef are Ab initio calculation and Monte carlo method in modeling and simulation of new materials for renewable energy; Magnetism and phase transition in condensed matter; complex systems and critical self-organization in statistical physics. He is a co-author of more than 400 research publications and book chapters and about 100 conference presentations including numerous invited papers and talks. He has co-chaired or co-organized several international conferences. He holds a number of patents and supervised 40 post graduate research candidates. 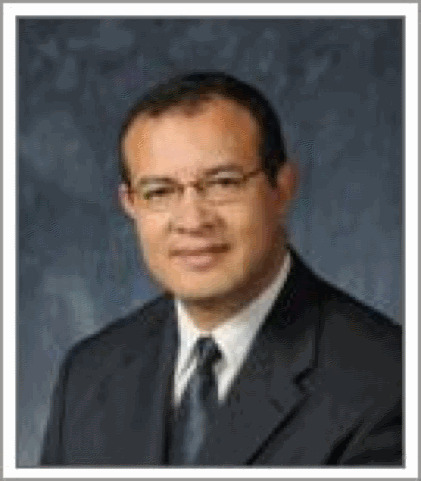 Dr. Moulay Tahar SOUGRATI is a CNRS Research Engineer. He is in charge of the Mössbauer spectroscopy platform of Charles Gerhardt Institute (ICG). His work is focused on the application of Mössbauer spectroscopy to the characterization of materials for different topics such as Geology, Inorganic Chemistry and especially in the field of energy storage and conversion. Since 2009, He has been working on different families of anode and cathode materials for Lithium and Sodium ion batteries including phosphates, sulfates, oxides, intermetallic alloys etc. He contributed to investigation of reaction mechanisms using operando Mössbauer spectroscopy. He is also applying Mössbauer spectroscopy to iron-based precious-metal-free catalysts for the oxygen reduction reaction. 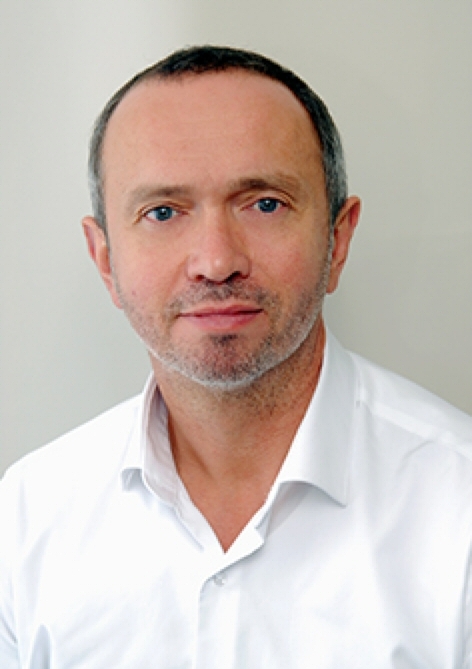 He is a member of the French Mössbauer Group (GFSM) and He is actively involved in the European (ALISTORE) and the French (RS2E) networks for electrochemical energy storage. A significant part of his work is carried out within international collaborations. Dr. Antonella Iadecola is a CNRS Research Engineer within the framework of RS2E’s activities at synchrotron SOLEIL (France) as a responsible of the synchrotron platform. She received her Ph.D. in Material Science in 2011 from University “Sapienza” in Rome (Italy) for her studies on the local structure of high Tc Fe-based superconductors using X-Ray Absorption spectroscopy (XAS). After spending three years as a postdoctoral fellow at the XAS beamline first in Elettra (Italy) and then in ESRF (France), she joins the RS2E in 2015. She is currently associate scientist at the ROCK beamline in SOLEIL dedicated to time-resolved XAS measurements for energy applications. She mainly works on the investigation of the electrochemical mechanisms occurring in energy storage systems, such as rechargeable Li- and Na-ion batteries and supercapacitors, in operando conditions using a wide range of synchrotron-based techniques. Dr Phoebe Allan is a Senior Support Scientist at Diamond Light Source and a Junior Research Fellow at Gonville and Caius College, Cambridge where she works with the group of Professor Clare Grey in the Department of Chemistry. Her research focuses on understanding charging processes in electrochemical systems such as sodium-ion batteries and electric double-layer capacitors (also known as supercapacitors) using techniques such as X-ray powder diffraction, pair distribution function analysis and solid-state NMR. She is particularly interested in the role that local-structure plays in determining the physical properties of materials and developing methodology for operando studies of electrochemical systems using synchrotron radiation. 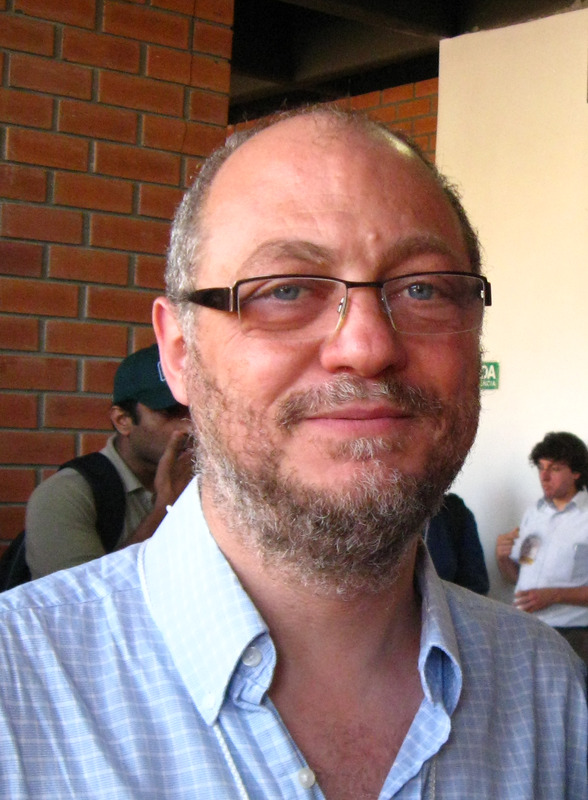 Professor Lorenzo Stievano received his PhD in 1995 from the University of Ferrara with a thesis on the application of Mössbauer spectroscopy with common and less common isotopes to the study of heterogeneous catalysts. After two post-docs at the Institut de Recherches sur la Catalyse et l’Environnement in Villeurbanne (France) and at the Laboratoire de Réactivité de Surface in Paris (France), he was appointed Maître de Conférences at the Université Pierre et Marie Curie in Paris. During his work in Paris, he developed with Prof. Jean-François Lambert a completely new research subject on the study of the absorption and the reactivity of biological molecules on the surface of inorganic oxides. 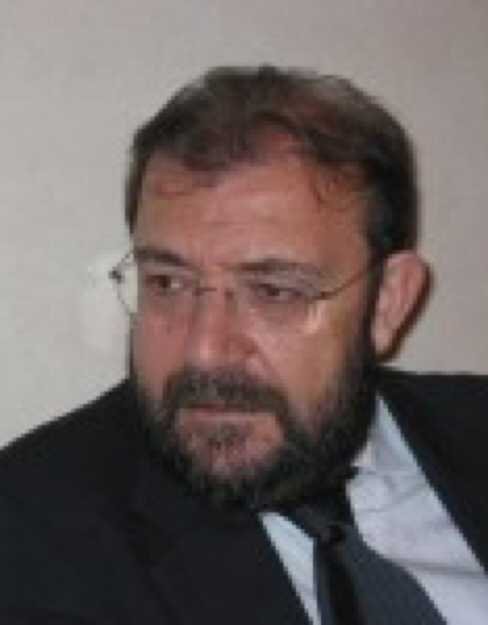 After being appointed Professor at the Université de Montpellier in September 2009, Lorenzo Stievano joined the ICGM and started working in the fields of electrochemical energy storage. He is currently involved in several academic and industrial projects on lithium and post-lithium batteries. 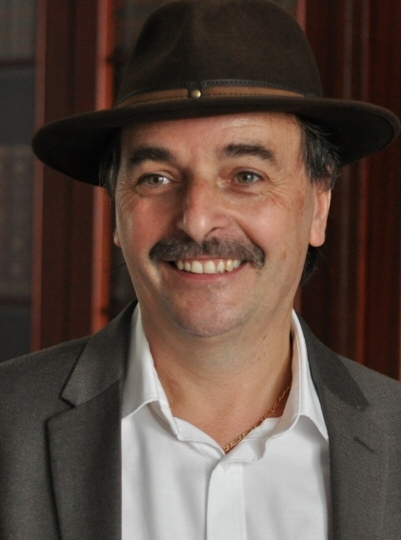 Lorenzo Stievano is an expert in the characterization of functional inorganic materials by spectroscopy and diffraction techniques. He published more than 110 scientific papers in the different fields of inorganic chemistry, heterogeneous catalysis, materials and surface science since 1995. 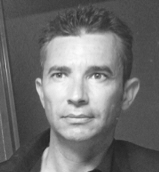 Professor Hervé Martinez is graduated in Material science (INSA Toulouse - France) and he obtained a Master Degree with honors in Solid State Physics (Université P. Sabatier – Toulouse – France) in 1993. He has defended his PhD in 1996 and was post-doctoral researcher in Carnegie Mellon university and Laurence Berkeley Laboratory in 1997. Since 2008, he is full professor in solid state chemistry at the Université de Pau et des Pays de l’Adour in France. He is at present deputy director of a CNRS laboratory (IPREM : Institute of Analytical Sciences and Physical Chemistry for the French National Centre for Scientific Research). 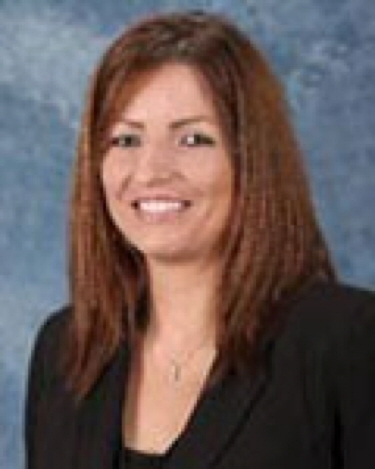 Prof. Martinez’s current research fields include the fundamental knowledge of materials surface and interface applied to energy storage (Li(Na) – ion batteries, redox processes and surface phenomena during electrochemical cycles, aging phenomena…), to nanomaterials for health and to the identification and understanding of corrosion process for materials used in aeronautics or automotive vehicles. He is a specialist of surface materials and physical-chemistry with a special interest for electronic and photoelectronic spectroscopy (XPS-AES), mass spectrometry (TOF-SIMS), scanning probe microscopies (AFM-STM) and theoretical calculations (DFT codes). Within these different fields, he has published more than 110 scientific papers and book chapters with a number of citations around 1900 and an h-index of 25. He was/is coordinator and principle leader of more than 20 research and collaborative projects. 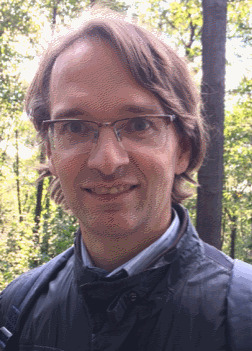 Professor Michaël Deschamps is an associate professor of materials chemistry at the University of Orléans (France), and heads the “NMR and Materials” group at the CNRS laboratory CEMHTI (UPR 3079 Extreme Conditions and Materials: High Temperature and Irradiation). He got his BSc in Chemistry, MSc in Physical Chemistry and Spectroscopy, and a PhD on Nuclear Magnetic Resonance in the group of Prof. G. Bodenhausen at the Ecole Normale Supérieure in Paris (France). He moved to the University of Oxford where he became a post-doctoral fellow and biochemistry tutor in the group of Prof. Iain D. Campbell, and was awarded an EMBO fellowship in 2003. During his post-doctoral years, his research focused on the structural determination of biomolecules by NMR. He obtained an Assistant Professor position in Orléans in 2005, was promoted to Associate Professor in 2013 and became a Junior member of the Institut Universitaire de France in 2014. Prof. M.Deschamps’ research is focused on the characterization of materials by NMR, with applications in batteries and supercapacitors, and he authored around 50 peer-reviewed papers. Dr. Fouad Ghamouss is associate professor at the University François Rabelais in France. 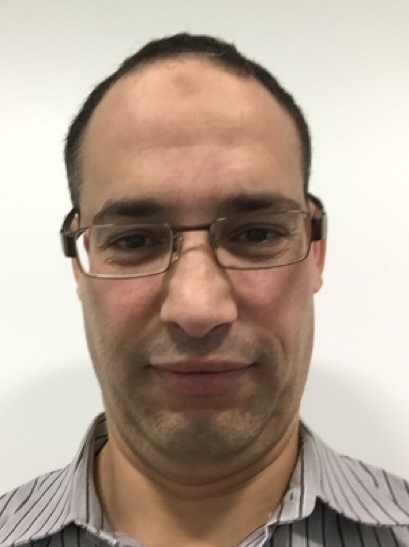 He received his PhD in Electrochemistry and composite materials from Nantes University in 2007 and he joined the PCMB Laboratory in Tours (D. Lemordant team) in 2009 to work on interfaces in Li battery system. In 2012, he joined the PCM2E laboratory. Ghamouss’s personal research interest lies in the study of electrodes/electrolytes interfaces in lithium batteries by mean of electrochemical and spectroscopic techniques, developing and studying new formulation of advanced and electrolytes electrodes materials for electrochemical storage system (Li-batteries and supercapacitors). Professor Patrik Johansson received his PhD in Inorganic Chemistry 1998 from Uppsala University, Sweden. After a postdoc with Mark Ratner and Duward Shriver at the Chemistry Department at Northwestern University, Evanston, IL, USA, he returned to Sweden and Chalmers University of Technology where he was promoted to Full Professor in Physics in 2016. In 2014-2015 he was Visiting Professor at LRCS-CNRS, UPJV, in Amiens, France. He has continuously aimed at combining understanding of new materials at the molecular scale, often via ab initio/DFT computational methods and IR/Raman spectroscopy, with battery concept development and real battery performance. His special interest is electrolytes; liquid, gel, polymer, and ionic liquid, especially salts and additives, for Li-ion batteries and various novel battery technologies: Na-ion, Li-S, Li-O2, Mg, Ca, Al, etc. In 2015 he won the BASF Creator Space Energy Storage Contest for his new ideas on Al-battery technology. He currently has a group of 12 PhD students and postdocs, takes part in several national and international projects, many involving Swedish and European industry, and is also active in ALISTORE-ERI; Europe's largest industry-academia network within the field of modern batteries. He has published >125 scientific papers, written 5 book-chapters, and is the Director of the Applied Physics Masters Programme at Chalmers as well as Vice Head of the Division for Condensed Matter Physics. Professor Tetard is currently an Assistant Professor at the NanoScience Technology Center at the University of Central Florida in Orlando, FL. Her group focuses on developing new nanometrology platforms to study complex systems of interest for energy and material discovery. Before she joined UCF in 2013, she was a staff researcher and Eugene P. Wigner fellow at the Oak Ridge National Laboratory. During her tenure at the national laboratory, she focused on multi-frequency Atomic Force Microscopy for subsurface imaging and for infrared nanoscale spectroscopy. She received her PhD in 2010 from the University of Tennessee, Knoxville. 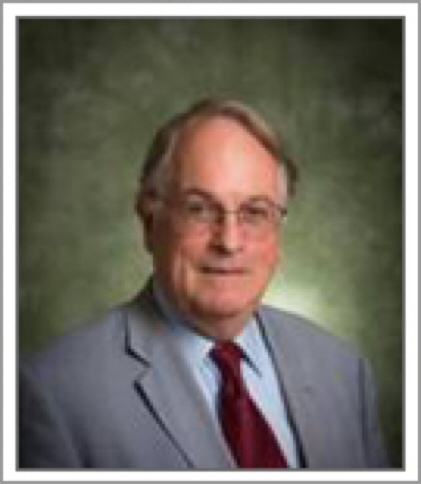 Dr. Tetard has authored over 45 publications in refereed journals, several book chapters and has contributed to several patents, one of which received an R&D100 award in 2010. Professor Abdou Lachgar is a professor of Chemistry in the Department of Chemistry at Wake Forest University, and Associate director of the Center for Energy, Environment and Sustainability (CEES) at WFU in charge of the research imperatives. His teaching and scholarship interests are in the area of inorganic materials. Lachgar’s expertise is in the synthesis and characterization of crystalline solid state materials with potential applications in electrochemical energy storage, semiconductor heterojunctions for enhanced visible light photocatalysis, and development of catalysts for waste-to-biofuels conversion. Lachgar’s research is currently funded by the National Academy of Sciences, US-AID, National Science Foundation, the Biofuel Center of NC, and the Wake Forest University Center for Energy, Environment and Sustainability. 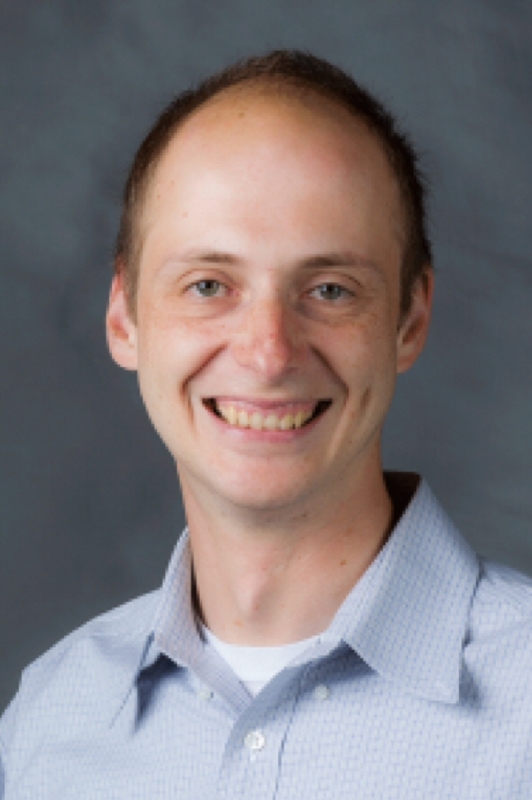 Professor Scott Geyer is an assistant professor in the Department of Chemistry at Wake Forest University. During his Ph.D. at the Massachusetts Institute of Technology, he worked on the synthesis and electrical characterization of colloidal quantum dots (QD) for energy and imaging applications. During his post-doctoral research, he investigated the growth mechanism atomic layer deposition (ALD) by in-vacuo photoemission spectroscopy. Current research interests focus on developing novel nanoscale materials for renewable energy applications and using ALD to improve device stability and performance. 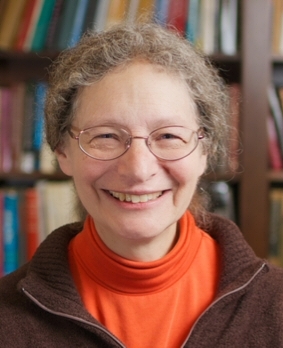 Professor Natalie A. W. Holzwarth is a Professor of Physics at Wake Forest University in Winston Salem, NC, USA. One research focus is first principles simulations of materials for the development of all-solid-state batteries. Recent studies model ion migration processes and idealized interfaces between electrolytes and anodes in a variety of Li and Na ionic conducting materials. Professor Moncef SAID is professor of condensed matter physics at the University of Monastir, Tunisia. He obtained his PhD thesis of Science in 1987 at the University of Paris 7. From 1988 to 1990, he was Humboldt and Max plank fellow at the FHI in Berlin. From 1991 to 1994 he was senior scientist respectively at the CEA- Saclay (Paris), University of Aarhus, Denmark, IEMN, Lille and the University of Modena, Italy. He was from 1998 to 2005 a Regular associate membership of the AS-ICTP, Trieste, Italy. 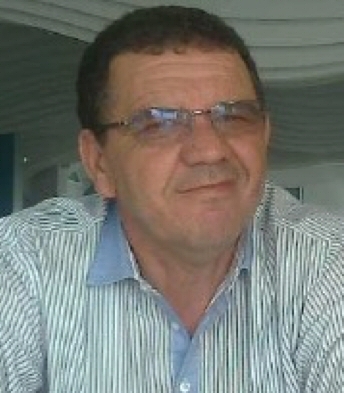 Since 1998; he is Professor at the faculty of Sciences, University of Monastir. He is director of the laboratory of Condensed Matter and Nanosciences, and member of the local and national commissions for the evaluation of research and education in Tunisia. His research activities have been devoted to the calculations of structural, electrical, magnetic and optoelectronic properties of semiconductors, nanostructure systems, using ab-initio, parameterized approaches and semi empirical methods with the aim of enhancing engineering applications: Emitter, Detector, Photovoltaic devices. His recent research has dealt with the modelling of structural and electronic properties of two dimension materials in particular indium and gallium chalcogenides, and nanocrystals (nanowires, dots) as a function of size and shape. He co-authored around 120 papers published in leading refereed international journals. Dr. A. Saul is a Senior Research Associate (Directeur de Recherche) at CNRS. He is a specialist in electronic structure calculations using first principle methods and atomistic simulations (Molecular Dynamics and Monte Carlo) based on empirical or semi-empirical potentials. His research interests include surface physics (reconstruction and phase transitions, surface alloys and alloy surfaces, surface segregation, kinetics and equilibrium properties, and surface stress and surface energy), quantum transport in metallic nanowires, and magnetic and electronic properties of oxides (calculation of model interactions using state of the art first principle methods) He has been the head of the Theory and Computer Simulations Department of the Centre Interdisciplinaire de Nanoscience de Marseille (CiNaM) from 2004 to 2006 and from 2012 to 2013. He has given a large number of invited talks in international conferences and published about 90 papers in international journals. Professor Daniel Malterre is Professor of Physics at the University of Lorraine (France). For his PhD, he studied Kondo and intermediate valent Ce based systems by high energy spectroscopic techniques (photoemission and X-ray absorption). After a postdoc stay in Switzerland, he joined the solid state laboratory of University of Nancy and created the "surfaces and spectroscopies group". With his group, he developed an original experimental setup combining angle-resolved photoemission, STM/STS and a molecular beam epitaxy chamber to study electronic properties of surfaces and interfaces of metals and semiconductors. He is co-author of more than 140 publications in international journals and conference proceedings. Prof. Giovanni Marletta is Full Professor of Physical Chemistry. The research interests include Functional Surfaces and Interfaces, Materials for Energy, Nanotechnology and Surface Engineering with particle beams. Currently President of the National Interuniversity Consortium for the Study of Large Interface Systems (Italy), Fellow of the Royal Society of Chemistry (UK), Member of the Senate of the European Materials Research Society. G.Marletta has been President of the European Materials Research Society, Director of the Italian Targeted Program for “Special Materials for Advanced Technologies II”, Member of the UE Expert Advisory Group for “Nanotechnology, Knowledge-based materials, Innovative Processes”, 6th Framework Plan, and President of the “Sicilian District of Micro and Nanosystems”. G. Marletta is author or co-author of more than 180 papers published in International Journals. Member of International Conferences Committees in the area of Biological Surfaces and Nanotechnology, Radiation effect in Matter. 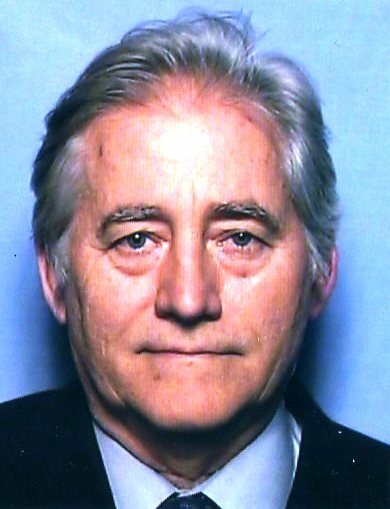 G.Marletta has been Member of the Editorial Boards or the Advisory Board of: J. of Physical Chemistry Chemical Physics (PCCP) (RSC, UK); J.of Applied Biomaterials and Biomechanics (JABB, Switzerland); J. Applied Physics/Applied Physics Letters (American Physical Society, USA), J. Adhesion Science and Technology (JAST); Advanced Biomaterial in Advanced Engineering Materials (Wiley). Professor Thomas greber was Born and educated in Switzerland. Prof. Greber obtained his PhD at ETH Zürich on Two Aspects concerning 4f impurities on metals in 1990.From 1991 to 1994 he was Humboldt and SNF Gastforscher at the Fritz-Haber-Institut in Berlin, where he worked on non-adiabatic gas surface reactions. Since 1995 he is senior scientist and lecturer at the University of Zürich. His main interests are sp2 hybridized single layer templates on transition metals and molecules on such surfaces that he investigates with photoemission and scanning tunneling microscopy. 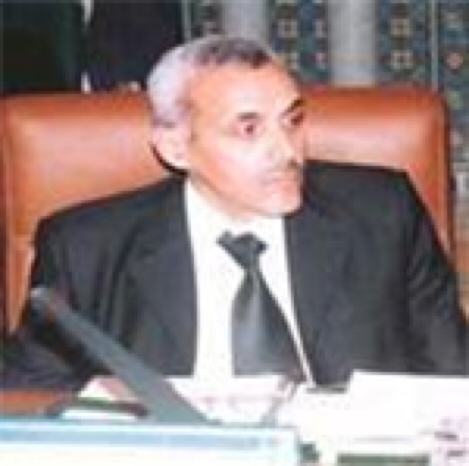 Professor AIT ALI Mustapha is full professor at the University Cadi Ayad in Marrakech. He is working in Organic Chemistry, Organometallic Chemistry and catalysis in the Department of Chemistry, Faculty of Sciences Semlalia, Marrakech-Morocco. His research interests include Coordination Chemistry, asymmetric Catalysis, Green chemistry and nanoparticles and the chemistry of nanostructured materials: graphene; silicene and phosphorene. Pr. AIT ALI M. was a guest professor at Villeneuve d’Ascq University, France, ENS Chimie de Rennes France and at the University of Cergy Pontoise France. He co-authored more than 60 papers published in leading refereed journals. He participated at more than 70 congress and supervised 10 PhD students. He also participated in 10 international cooperation projects and he was an active member in the organization of several international conferences. Professor Michael Altman is Professor and Head of the Department of Physics at the Hong Kong University of Science and Technology. He obtained his PhD from Brown University in 1988 for pioneering investigations of surface reconstruction and phase transitions using surface x-ray diffraction. As a Humboldt Fellow at the Technical University of Clausthal from 1989-90, he was a co-inventor of spin polarized low energy electron microscopy for surface magnetic imaging. He current interests are in the structure, defects and elastic properties of two-dimensional materials, dynamics of Au nanoparticle catalysis, and theory of image formation in cathode lens microscopy. He has served on the Editorial Boards of Ultramicroscopy, Surface Science and Surface Review and Letters and is Fellow of the American Physical Society. Dr. G. Prévot is researcher at CNRS. He is head of the "Physico-Chemistry and Dynamics of Surfaces" team of the Paris Institute of Nanosciences. He obtained his PhD in 1999 at the Pierre & Marie Curie University on atomic displacements on copper surfaces, atomic vibrations and lead diffusion. After a post-doctoral stay in Marseille, he joined the Groupe de Physique des Solides at Paris. He works on nanostructured surfaces, model catalysts and two-dimensional materials, using scanning tunneling microscopy and grazing incidence X-ray diffraction performed in-situ and in operando conditions. He also uses numerical simulations such as molecular dynamics or Monte-Carlo.